What do people think of his acting ability? What is your favourite Bowie movie? What about the stuff he has done for tv? i.e The Hunger the series, Dream On, etc. hmm I don't mind him as an actor how ever I think his musical abilities are definitely better. my favorite bowie movie at the MOMENT is The Linguini incident he's just too cute in it. OMG i still have to see the linguini incident! I actually LOVE his acting, someone said once to me that they didn't think he was good, and to be honest that opinion hadn't even registered in my mind as feasible! But he is my all time heart throb! I just finnished watching Just A Gigolo last night aswell... AWWWW!!! I really love this movie ! It's pretty funny because in the movie at the begining he only wants water and then he drinks alcohol and watchs TV all day long ! 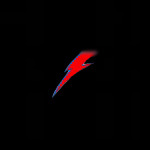 And Bowie started to do a Spot for alcohol , then for Pepsi and then for Water ! I really loved Merry Christmas MrLawrence , It's a really beautifull movie, and very original theme ! And Jack Celliers in MCML is his best part ever! But I also love linguine incident, even thought the story is a little bit strange, he's very funny! And ofcourse... The labyrinth! ahah i can say that i like every his film.. just 'cause i can see him! but anyway, i guess i like very much Just a Gigolò, and Labyrinth... the one wich disappointed me a bit is The last temptation of Christ... ( i don't know if is the right title, i have traslated from italian ) just beacause is a very long film... and you can see him just in one scene! Ah and ofcourse i like the man who fell to earth! hihi yes I think the best movies are the movies that contains the most David! The hunger... the movie just sucked. I love it when he hits rock bottom... =3 its cute, he's just lying there going.."OM NOMNOM"
Subject: Re: David Bowie the actor.